The Thanksgiving leftovers are slowly being eaten up, but as it usually goes, everyone is getting tired of the same meal each night. 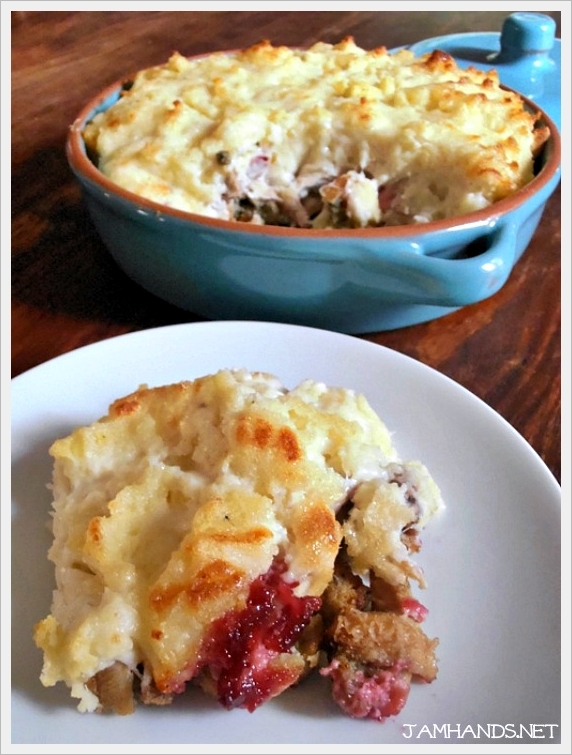 I found this recipe for leftover turkey casserole at Allrecipes. 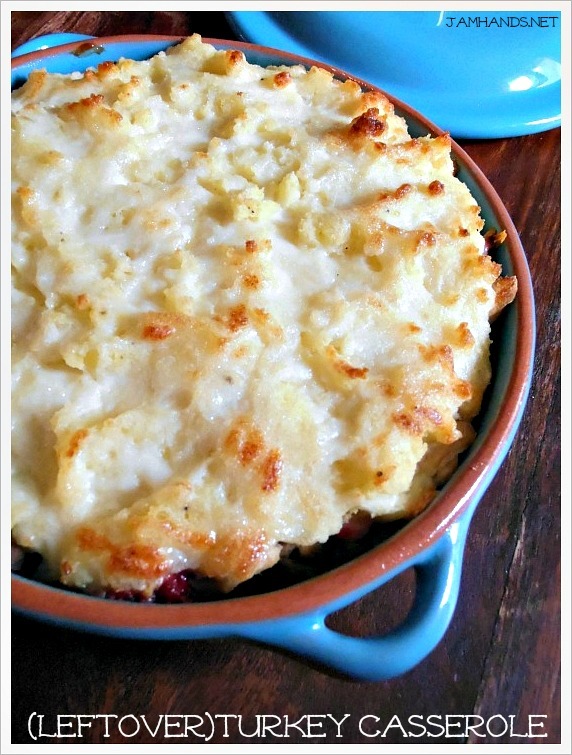 It spruces up your leftover cranberry sauce and potatoes by adding in a few additional ingredients, like mayo and cheese. It came together in less than 10 minutes and was a satisfying meal. Enjoy! - I goofed a bit and added all of my stuffing on the bottom layer. I think I preferred it this was as it allowed the potato mixture on top to get slightly browned. 2. Combine 1/4 cup mayo with cranberry sauce; evenly spread over turkey. 3. Combine remaining 1/2 cup mayonnaise-type dressing, potatoes and cheese in large bowl. Evenly spread on turkey, then top with remaining 2 cups stuffing. Recipe from Hellmann's & Allrecipes.